Since losing their Canal Place home in 2012, Southern Repertory Theater has existed as a traveling theater troupe. Last Thursday, Southern Rep announced its new home will be in a revitalized St. Rose of Lima Church building in the historic Bayou Road corridor of Treme. The new 13,400 square foot theater complex will feature a 125-seat Main Stage proscenium theater, plus a 65-seat Lagniappe Stage that is convertible to a cabaret or black box configuration, and a rehearsal room. 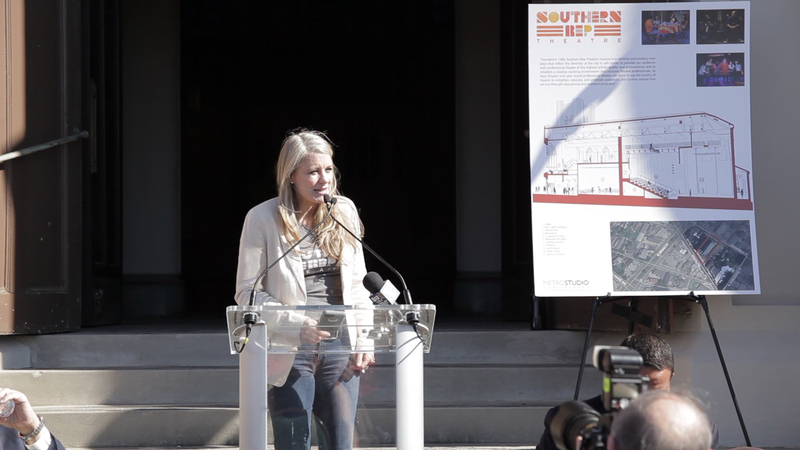 “We’re also excited about an outdoor stage right out here,” Hayes said at the press conference, held right in front of the church building. “Before every performance, there’ll be a mini free performance of music, of theater, of kids doing fabulous things that the audiences and the community will be able to enjoy before each show, and that’s all capped off by a fabulous bar and café. The theater complex will be part of the new 47,000 square foot Bayou Treme Center, a project of the Rose Community Development Corporation, Broad Community Connections, and Alembic Community Development, which will renovate the long-vacant church campus into a hub for the performing arts in the city and a cultural anchor on Bayou Road. 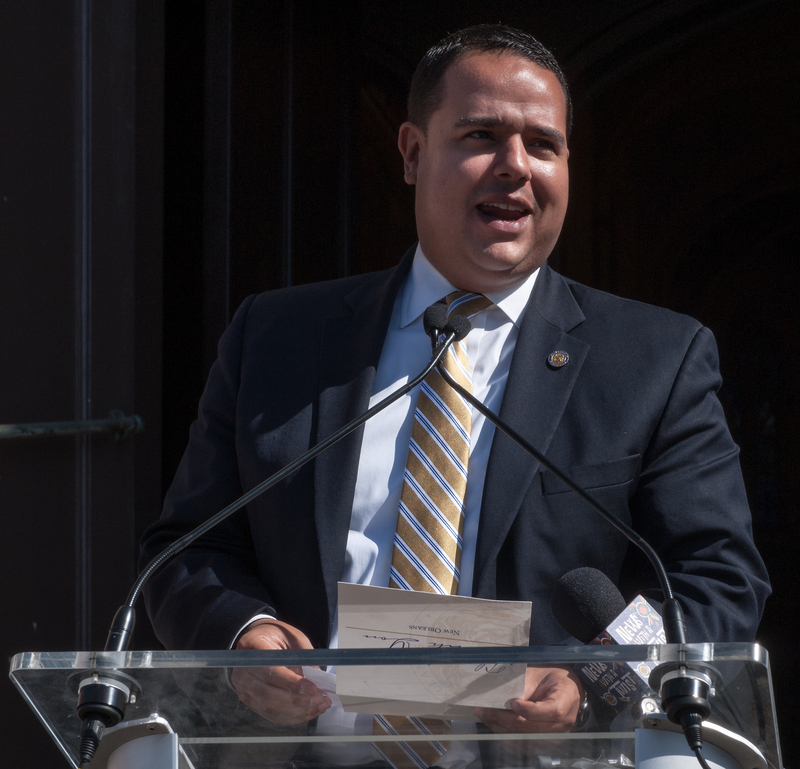 The project partners anticipate that construction will begin in 2017, with a projected opening date in 2018. 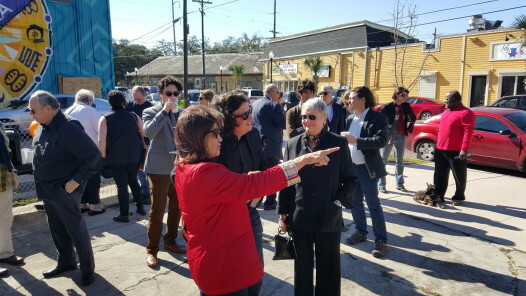 “The Bayou Treme Center will be another catalyst in this renaissance helping to anchor investment in supporting the amazing small business owners who are already here,” said Jeff Schwartz, executive director of Broad Community Connections. The history of the Treme corridor of Bayou Road starts back in pre-colonial times, when Native Americans used it to carry goods between the river and the lake, and has seen countless stories play out over its centuries of existence.